Kenny Chung is a digital marketing director from Brooklyn, NY with a background in advertising and creative direction from Boston University. He currently works at Huge. Additionally, Kenny is a concert photographer, omnivore, Time Magazine's Person of the Year for 2006, and he holds the same number of Tour de France titles as Lance Armstrong. In his spare time, he plays the guitar/bass/banjo/ukulele/drums, listens to NPR, and writes scathing Yelp reviews. This project entailed the redesign of a magazine masthead and designing a cover and two-page spread to convey the new logo and themes. 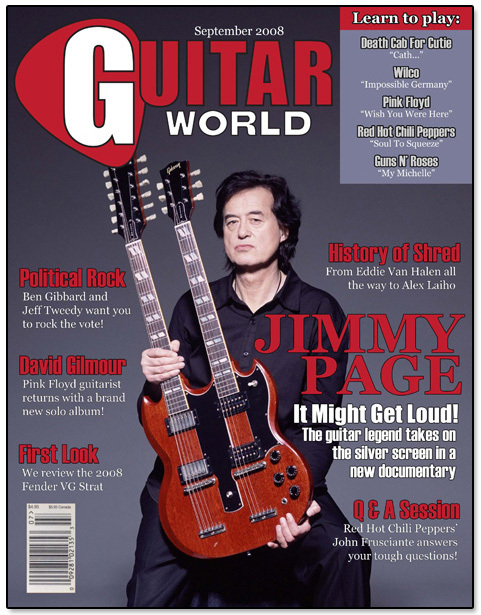 I redesigned Guitar World magazine, a publication I used to read regularly. This was a sample cover incorporating the new masthead as well as text & headline placement. Font choices were made to complement the logo. 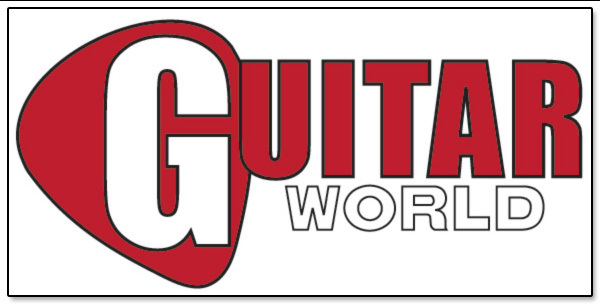 Note that like the original Guitar World logo, the overall hue can be changed to match a certain theme. The masthead in this instance matched the color of Jimmy Page's SG Guitar. This assignment was a combination rebranding and magazine layout exercise. I kept the two-tone theme of the original logo and only preserved the negative lettering for the G, which was now layered on top of an outline of a guitar pick. This two-page spread detailed how an article would appear in the magazine, incorporating the new fonts and themes. 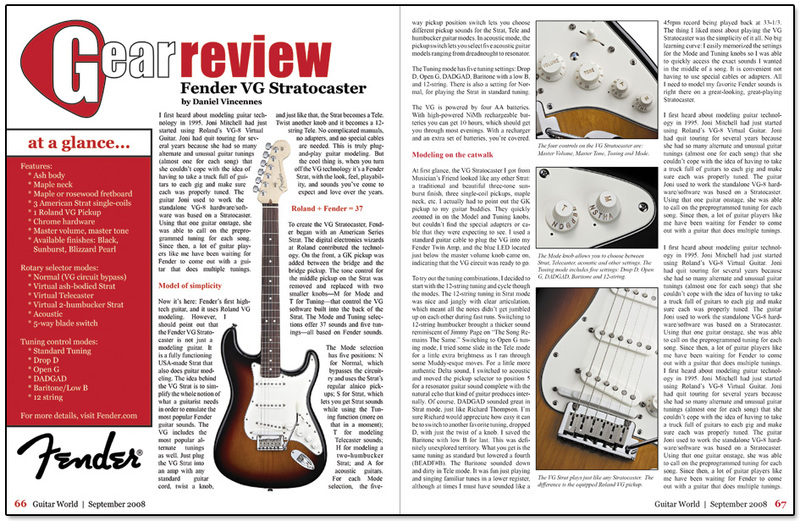 The "Gear Review" section header is similar to the revised masthead. 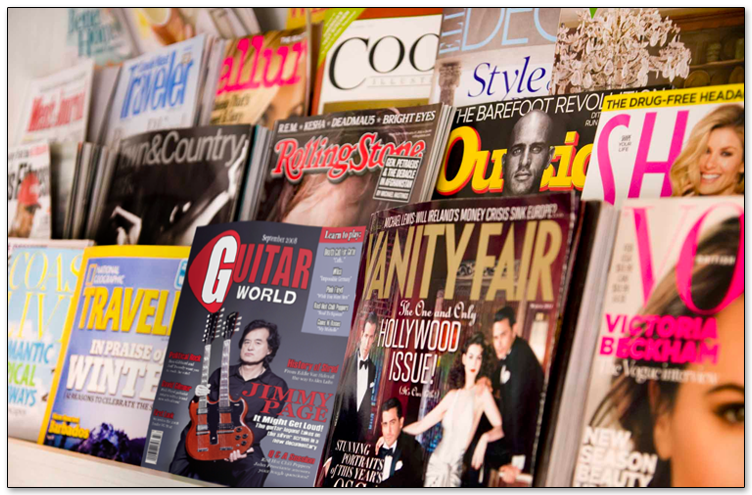 A mockup of a magazine shelf with the redesigned Guitar World magazine on display. This work is licensed under Creative Commons Attribution-NonCommercial-NoDerivs 3.0 Unported. 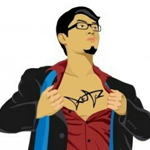 Kenny Chung is the principal designer on all works hosted on this site unless otherwise specified. Where noted, copyrighted images may have been used for illustrative or educational purposes, but not for profit. To inquire about hosting any creative materials elsewhere, please visit the contact page.